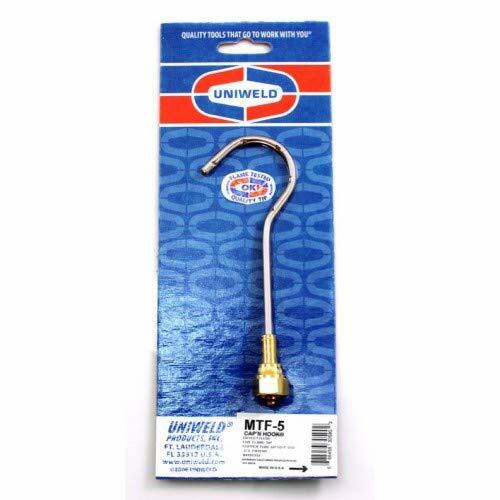 Uniweld MTF-5 Cap'n Hook 5 flame tip is the superior way to braze copper tubing. The 40 degree flame angle flows onto copper tubing and away from sensitive areas, thus minimizing the chances of burning adjacent components. Tip provides 100% wraparound of the copper tubing for even heat distribution. Tip elbow is made of tough, durable stainless steel to protect against bending; mixer and nut are brass. Capable of brazing up to 1" of copper. Has two O-Ring seals so tip nut only needs to be firmly hand tightened. Tip will fit either the 71 or WH550 welding handle. Five flames with 100% wrap around heat for easy brazing of copper tubing. 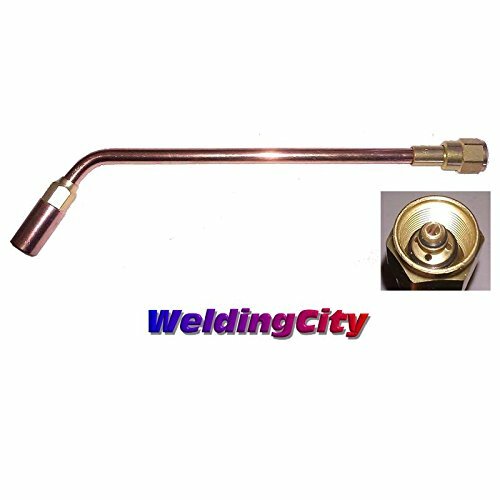 Capable of brazing up to 1 copper tubing. Hook tip made of tough, durable stainless steel to protect against bending; mixer and nut are made from brass. Proudly made in the USA and 100% flame tested. 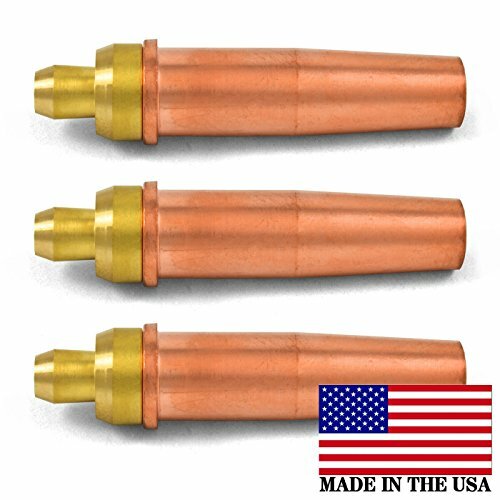 Premium quality 4-MFA-1 (size 4) Acetylene heating nozzle rosebud tip with mixer W-1 for Victor 100 series torch. With multi-flame heating head for heat treating, straightening and priming applications. Fit Victor light to medium duty 100 (not J-100) series handles such as 100C/100FC/WH26/WH260 and other aftermarkets versions. 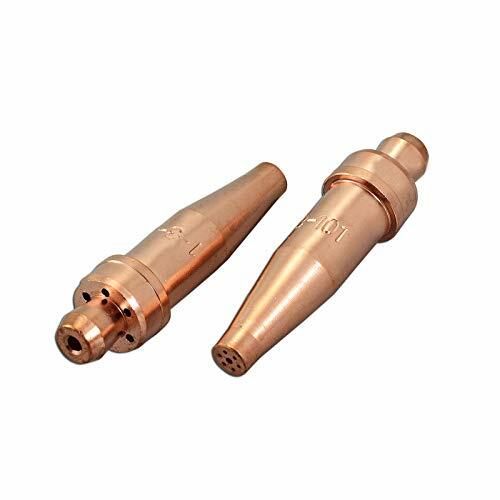 Premium quality 4-MFA-1 (size 4) Acetylene heating nozzle rosebud tip with mixer W-1 for Victor 100 series torch. With multi-flame heating head for heat treating, straightening and priming applications. Fit Victor light to medium duty 100 (not J-100) series handles such as 100C/100FC/WH26/WH260 and other aftermarkets versions. You get One (1) heating tip for Victor torch at this price. FAST AND FREE SHIPPING within the U.S.
Victor 0330-0004 00-1-101 Professional Cutting Tip, Type 101, Size: 00 if for general, hand and machine torch cutting. The gas service is Acetylene and the metal thickness is 1/4 inch. The cutting oxygen in PSIG is 20/25 and the cutting oxygen in SCFH is 30/35. The preheat oxygen in PSIG is 3/5 and the preheat oxygen in SCFH is 4/6. The Acetylene in PSIG is 3/5 and Acetylene in SCFH is 4/6. The speed I.P.M. is 27/30 and the kerf width is .05 inch. 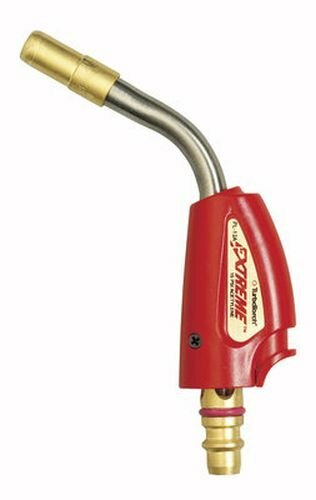 TurboTorch TX500 Extreme ProPack Torch Kit. The Patented Design Offers Maximum Durability And Performance Featuring An Instant On/Off Trigger. -TX-500 SELF LIGHTING VICTOR. -UNSPC CODE: 23171500. -Air/Fuel Outfits Air/Fuel Outfits welding gas equipment outfit air fuel . Torch Type: -Hand torch. Welding Type: -Welding. Generic Specifications: -TX500 With Free T-503 Tip - Self-Lighting Hand Torch With Extreme Swirl Combustion. Victor 0330-0005 1-1-101 Professional Cutting Tip is for used on general purpose applications, hand and machine torch cutting. This professional cutting tip is used on Acetylene type torches. The tip type is a cutting type. The head type is straight. 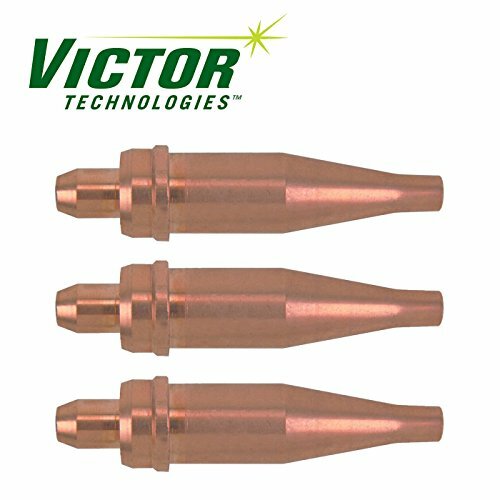 Victor TurboTorch 0386-0106 A-32 Air Acetylene Swirl Tip can be used with any Air Acetylene torch handle (PLF-A5 or G-4). The orifice screw is removable. The "O" ring is color coded red for acetylene. 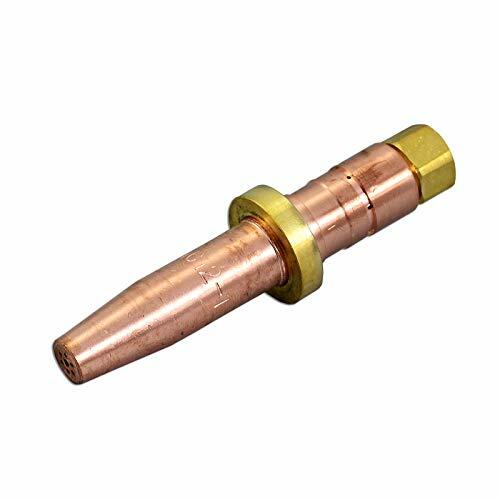 The industrial applications this swirl tip can handle are HVAC and high capacity applications. Tip size is 3/4" (19.0 mm). The gas flow 33.2 at 14 PSI SCFH and 2.82 at (0.9) M3/HR. The soft solder is 4 to 6 inches (100-150 mm) and the silver braze is 1-1/2 to 4 inches (40-100 mm). Victor 0330-0012 0-1-101 Cutting Tip is for general purpose, hand and machine torch cutting. Metal thickness is 3/8 inch to 1/2 inch. Cutting oxygen 30/35 PSIG and cutting oxygen is 60/65 SCFH. Preheat oxygen is 3/6 PSIG and preheat oxygen is 7/11 SCFH. Acetylene is 3/5 PSIG and 6/10 SCFH. Speed in IPM is 20/24. Kerf width is .06. 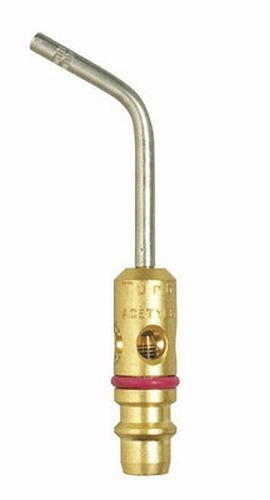 Victor TurboTorch 0386-0820 PL-12A Tip Swirl, Air Acetylene, Self Lighting features an orifice screw that can be easily removed for simple cleaning or replacement, extending the life of the tip. Process includes Air Acetylene. Silver solder is 1-2 inches and the soft solder is 2-4 inches. The BTU is 3,360. Industrial applications are high capacity and HVAC. Tip size is 3/8 inch. Gas flow is 9 at 14 PSI SCFH and .76 at (0.9 BAR) M3/HR. 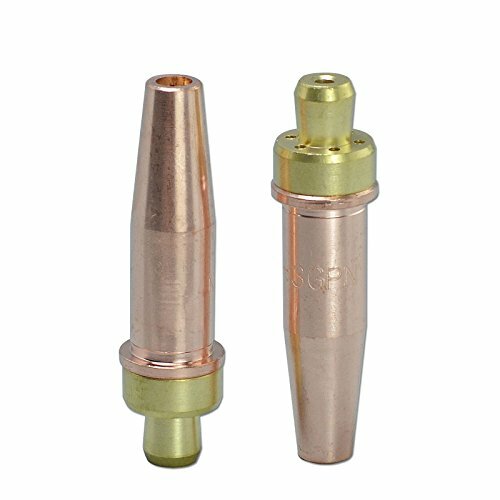 This Turbo Torch 0386-0101 A-3 Air Acetylene Replacement Tip is a manual lighting tip that can be used with any Air Acetylene torch (PLF-A5 or G-4) handle. It is reliable and well-engineered featuring quick-disconnect couplings and color-coded O-rings for easy gas identification. Add range to your torch kit with economical tips that also feature a removable orifice screw. 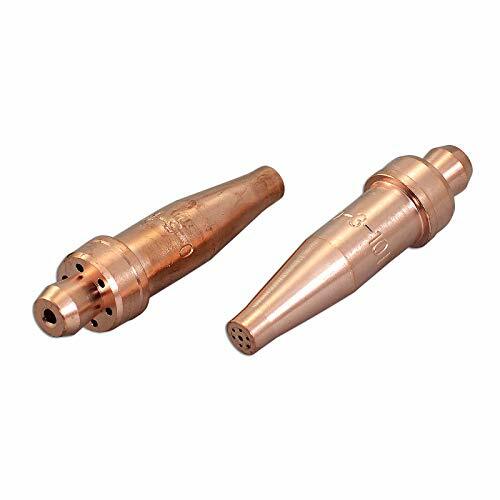 Tip Size: 3/16" Replacement Orifice: OR-A3 Gas Flow: 3.6 at 14 PSI SCFH, .31 at (0.9 BAR) M3/HR Copper Tubing Size Capacity (Acetylene) Soft Solder: 1/4" - 1" (10-25 mm) Copper Tubing Size Capacity (Acetylene) Silver Braze: 1/8" - 1/2" (3-12 mm) Application: HVAC, high capacity applications. 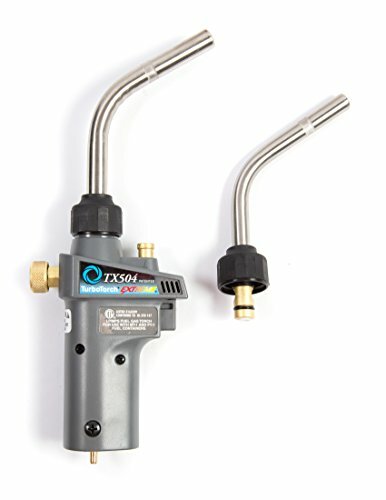 Victor TurboTorch 0386-0104 A-11 Tip Swirl, Air Acetylene can be used with any Air Acetylene torch handle (PLF-A5 or G-4). Add range to your torch kit with economical tips that also feature a removable orifice screw. The industrial applications include high capacity and HVAC applications. The tip size is 7/16 inch and the gas flow is 11.0 at 14 PSI SCFH and .94 at (0.9 BAR) M3/HR. The soft solder is 1-1/2 to 3 inches and the silver braze is 7/8 to 1-5/8 inches. This tip swirl features a removable orifice screw and a color coded "O" rings, red for Acetylene. The Lincoln Electric lightweight welding marking tool features sharp Tungsten Carbide tips that cut into hard surfaces with no problem. Manufactured with performance in mind, it leaves clear marks on metal, glass, plastic, and tools, providing a simple way to identify your valuable tools and personal possessions. The strong aluminum handle features a diamond knurling on the handle for a comfortable and sure grip. 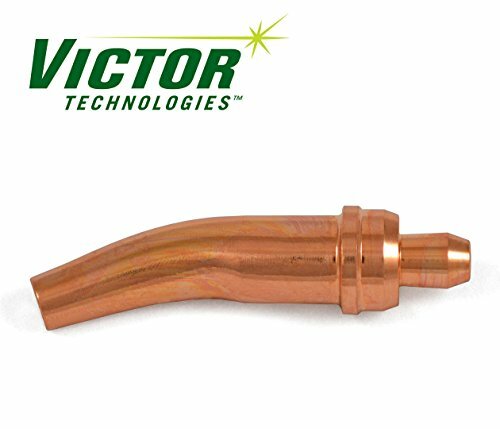 Victor TurboTorch 0386-0100 A-2 Acetylene Tip Swirl includes a removable orifice screw and color coded "O" rings red for Acetylene. The process are air and acetylene. Industrial applications include high capacity and HVAC. Tip size is 1/8 inch. Gas flow is 2.0 at 14 PSI SCFH and 0.17 at (0.9 BAR) M3/HR. Soft solder is 1/8-1/2 inch and silver braze is 1/8-1/4 inch. 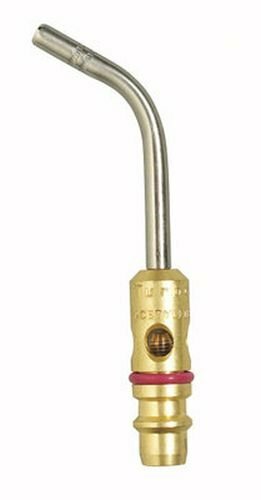 Victor TurboTorch 0386-0102 A-5 Acetylene Tip Swirl features a removable orifice and color coded "O" rings red for Acetylene. The industrial applications for this tip are high capacity and HVAC. The tip size is 1/4 inch (7.9 millimeters). Gas flow is 5.7 at 14 PSI SCFH and .48 at (0.9 BAR) M3/HR. The soft solder is 3/4 to 1-1/2 inch (20-40 millimeters) and the silver braze is 1/4 to 3/4 inch (10-20 millimeters).